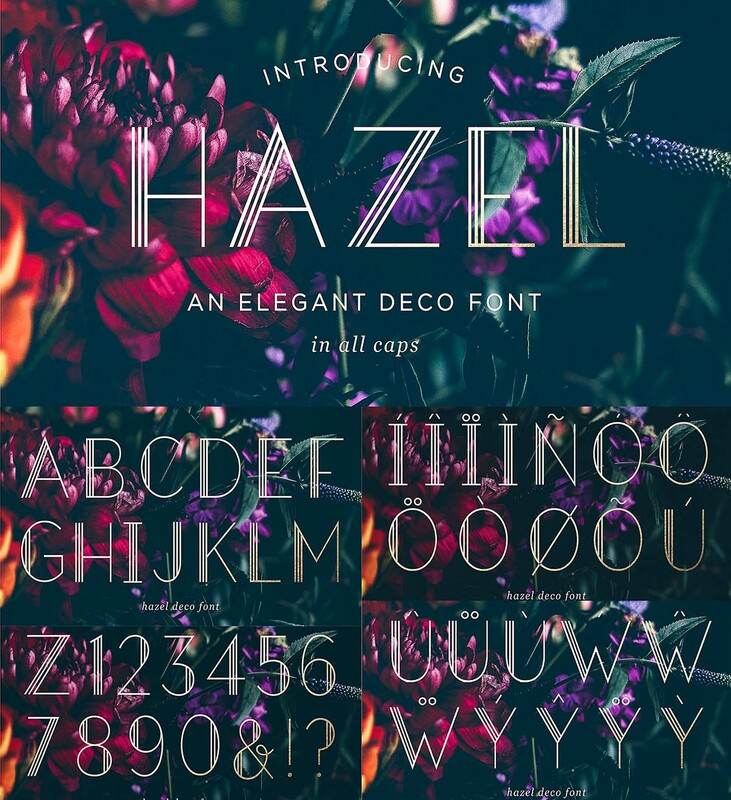 Meet Hazel Deco, an elegant Art Deco font in all caps. 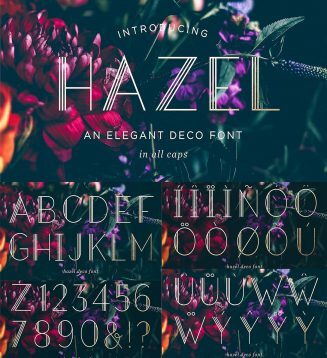 Hazel Deco is suitable for wedding invitations, branding, stationery, blog design, custom art, custom stamps, custom embossers, or any design purpose. Tags: deco font, decorative font, elegant font, fancy font, monogram font, wedding font.